Every day, through various media, we are confronted with the fact that we have to take on more self-responsibility for our lives. The motives are surely different. For some it is to provide security for the family, for others it is a higher income, future perspective, and personal development. 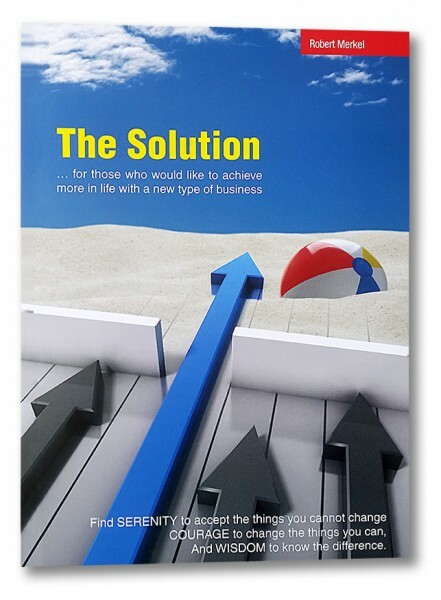 In this book Robert Merkel gives a detailed account of a holistic business solution for people who have the passionate desire to change something in their lives. His simple, clear, and evocative way of writing arouses curiosity and is encouraging whilst offering specific advice! If you read this book and understand it, you will be in a position to give your life the direction you desire.